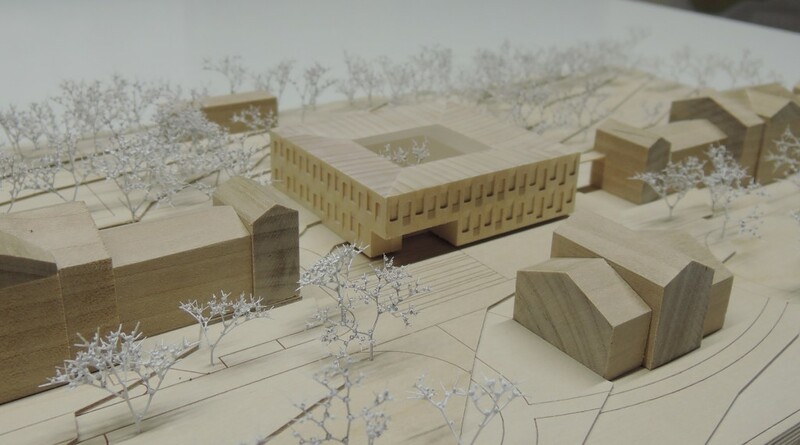 The design is intended to involve minimal alterations to this historic hospital campus. The new building occupies the central position in a complex consisting of three buildings, numbers 19, 20 and 21, and emphasises their strong symmetry. The landscaped areas immediately to the north of buildings 19 and 21 will remain unchanged, while the building is only two storeys high to ensure that it has the minimum impact on the existing space, and uses the same materials and façade structure as its neighbour. It is clad in brick, though for aesthetic and energy conservation reasons the exterior is more opaque than that of the building beside it, and has external fabric sun blinds between the windows and cladding. 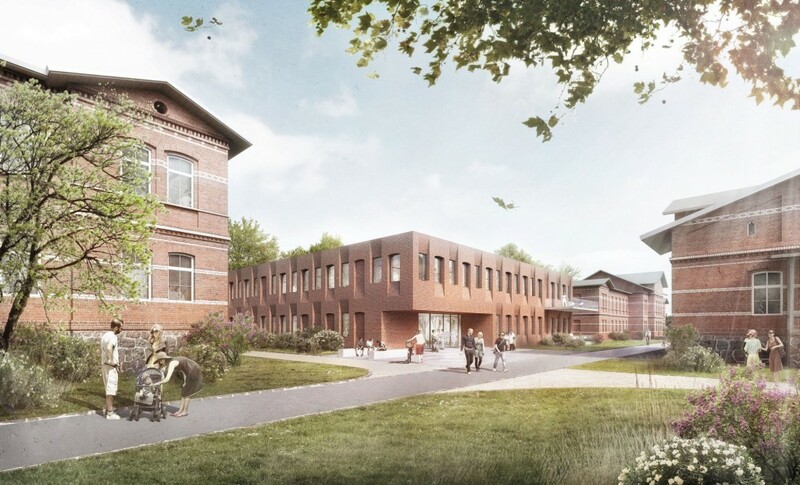 The project preserves the attractive overall character of this free-standing building and its parkland setting, minimising its impact, connecting it with the existing buildings, and ensuring the site’s long-term future.